Anointed, Bold, God-focused, Insightful, Innovative, and Creative are all terms used to describe Eric C. Hallback, Sr., Pastor of The Rock Faith Center, El Paso, Texas. A man of modest beginnings obeyed God’s mandate to birth a church that will reach the lives of his generation and beyond. With the vision of empowering all people to know God through His Word and His works, Eric strives to minister to the “un-reached”. In other words, those people who have either been overlooked, who have had little or no experience with, or those who are disillusioned by the traditions of church. Eric began this journey on January 3, 2010 with 4 initial disciples, and after 8 years, he has been given the awesomeresponsibility to pastor over 2600 disciples. He passionately believes in his God-given Vision to embrace, empower, encourage, and equip disciples for Christ-like living and service. This is a Vision that he embodies and expresses. 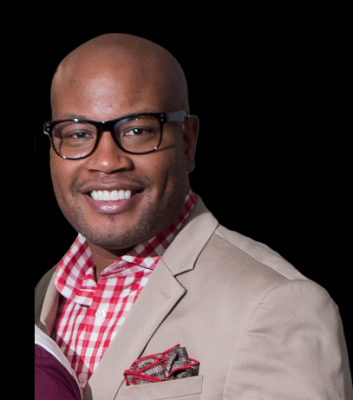 Eric is a gifted preacher/teacher, entrepreneur, life coach, motivator, and a veteran. He is a dedicated husband to Yaisa and is the proud and devoted father of Yazmyne Diamond and Eric II. Eric serves as the Orphan Care Ambassador in West Texas. He leads his community in meeting the needs of children and families in crisis. He is passionate about prevention of abuse and neglect of children as well as permanency for children who become orphaned due to abuse and/or neglect. Eric is also the Chairman of The Advisory Committee on Promoting Adoption of Minority Children (ACPAMC), a church/state partnership committed to providing permanent families for Texas children in need of forever homes.